Manila, Philippines - ABS-CBN and the Miss Chinatown Foundation named the winners of Mr. and Ms. Chinatown 2014 in the coronation night held on Sunday, July 27, 2014 at the Aliw Theater in Pasay City. The winners of Mr. and Miss Chinatown competition this year will receive P500,000 worth of cash and prizes. The 1st runner up will take home 300,000 worth of cash and prizes and 2nd runner up will win P200,000.00 worth of cash and prizes. A total of 24 Filipino-Chinese candidates, split between males and females aged 18 to 25 competed for the title. Other female candidates include Glezlie Ong, Judielyn Chang, Abegail Chua Castor, Sharmay Cu, Jamie Reyes, Lourdes Aurora Cu, and Anie Unson. Meanwhile, other male candidates who made it to the coronation night are Wesley Chawn Cua, Michael Anthony Tiong, Mark Anthony Lim, Jan Hung, King Choi, Raven Robin Go and Cedrick Cheston Miranda. In last year's competition, the first ever Mr. and Miss Chinatown competition, the title of Miss Chinatown Philippines went to Interior Design student Ronili Lim Pineda, while the title of Mr. Chinatown Philippines went to Randy See. Organizers said that the pageant is made to open doorways towards unified communities and better goals—beginning with a celebration of the shared values of the Filipino and Chinese communities and cultures, ultimately geared towards strengthening the fusion of the two in honing and shaping the potential of this generation. 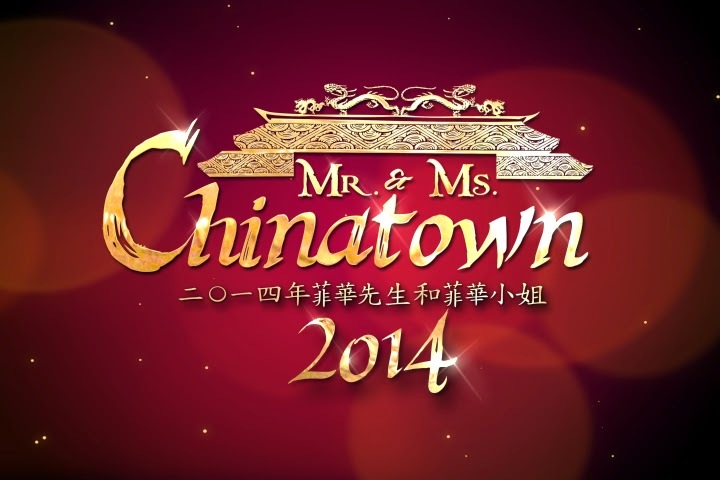 Mr. and Ms. Chinatown 2014 is hosted by Xian Lim, Enchong Dee, Gretchen Ho, and Kim Chiu.